UPDATE: Per DDG, the firm involved at 292 Fifth Avenue is a different DDG, so the comparison to 100 Franklin Street and 345 Meatpacking is invalid. Fresh permits reveal a 20-story hotel and residential building is about to begin rising at 292 Fifth Avenue, in the booming NoMAD neighborhood. The existing structure will soon be demolished, with permits for that portion of the job filed in early January. The architect of record is Rawlings, and the developer is DDG. 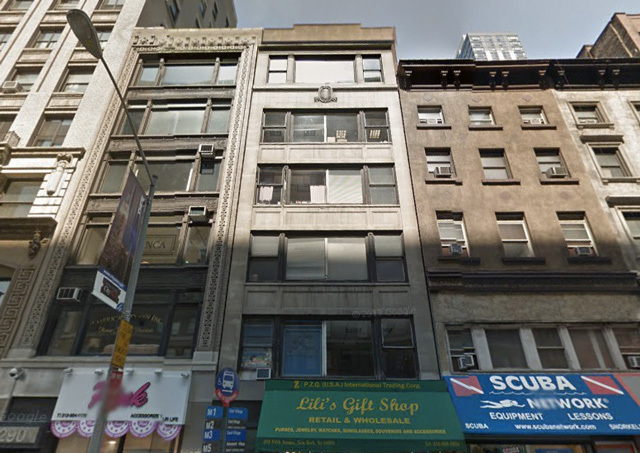 The site is currently occupied by a 6-story low-rise, which is of no architectural significance; 292 Fifth Avenue’s block has several nicer pre-war buildings that will hopefully be saved from future development, but the building to be demolished will be no great loss. As NoMAD continues to develop, much of the district’s historic legacy will be bulldozed to make way for new hotels and condominiums, which is fine, as long as the new structures are better than the old. The development will total just over 52,000 square feet, with the bulk of space to be utilized by the new hotel, which — per the Schedule A — will span the building’s first fourteen floors, with 130 rooms. Approximately 10,000 square feet will be dedicated to twelve residences on the top four floors. No completion date has been announced, but with demolition and construction permits pending approval, work is likely imminent. DDG’s latest project will add another feather to the neighborhood’s proverbial cap, and confirms NoMAD’s continued evolution into one of the most desirable areas of Manhattan.